The thing I love about gardening is that I’m constantly challenging myself… in a really relaxing, rewarding way! 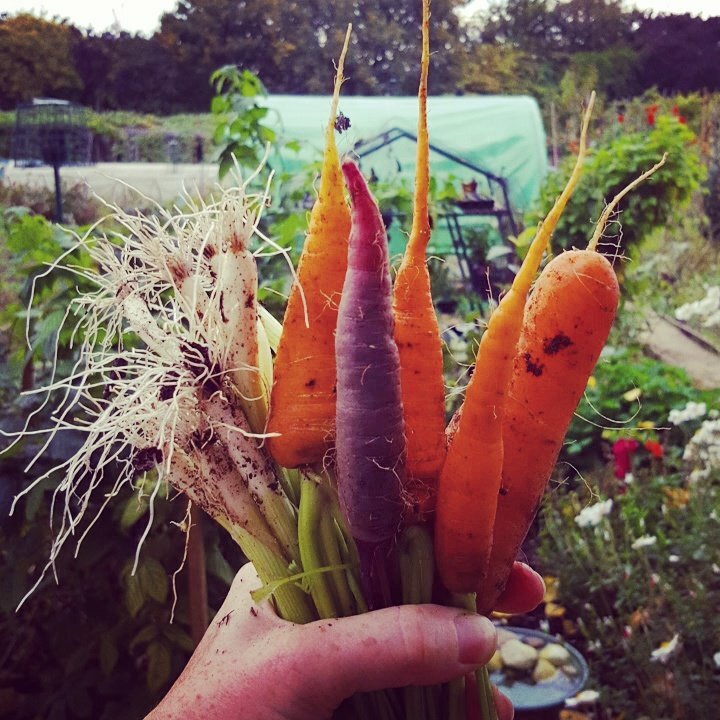 I’ve been growing my own food for quite a few years now and I’ve picked up some really good hints and tips along the way that I thought you might like too! 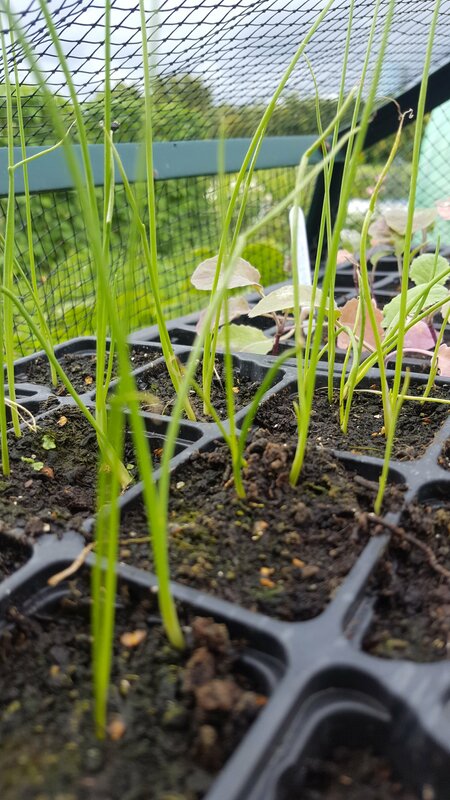 Without a doubt, my White Lisbon onions grow better if I plant them around the edges of beds. I saw someone else do this on our allotments and I’ve been doing it ever since. I sow 5/6 seeds into modules and plant out when around 5cm tall. Great spring onions every time. 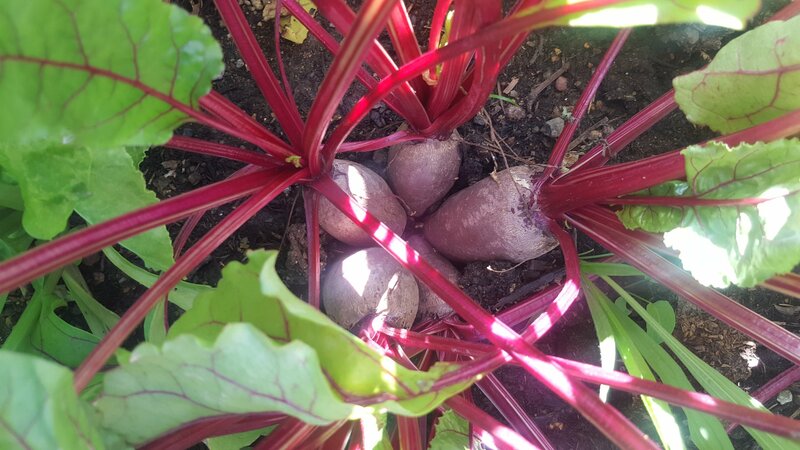 Some crops just seem to love being together and beetroot is one of them. I sow 3/4 seeds into modules and transplant out when they are about 5cm tall and the leaves look strong and straight. It’s so easy to grow more in less space this way and you don’t need to harvest them all at the same time, just twist out the one you want. I grow Detroit 2 and Cylindra. We’re often told to buy fresh parsnip seeds each year which I do religiously. So having had patchy results with numerous mainstream seed companies when growing carrots, I wondered if the same principles would apply? After all, they are both root vegetables. I’d heard great things about The Real Seed Company and boy did it make a difference! In stark contrast the seeds were up within days with no need to re-sow bare patches. There’s no going back now. Garlic – Elephant garlic has been a revelation! The big strong plants were so easy to grow and added a welcome splash of green to the plot during winter. Their stature was quite a talking point and so delicious we ate all 4 bulbs within two months. Needless to say I’m growing more this year! So are two of my neighbours! I feel that I could get quite boring bleating on about the benefits of growing Perpetual Spinach. All I can say is that this is one crop I will always grow. This year I had three plants and juiced a few leaves nearly every day which tasted SO creamy. 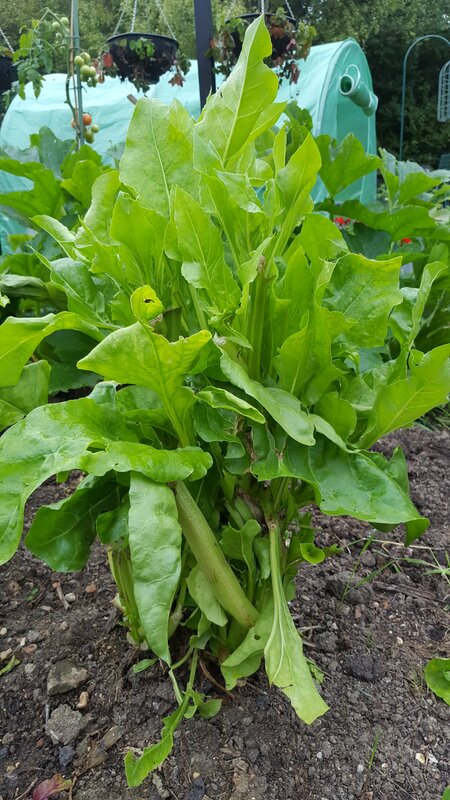 Young leaves can be used in salads and bigger leaves stir fried or steamed. They don’t bolt, they’re cut and come again, I had minimal slug damage and even better, the plants will continue to grow through the winter if it stays mild. What’s not to like! Most years I’m a bit late with my thinning’s and before I know it I’m pulling out baby parsnips and disturbing those left behind which never seem to thrive. This year I thinned early and they’ve grown into the biggest parsnips I’ve ever grown! I’m growing Tender and True. Tomatoes don’t need a lot of foliage to thrive. So long as they can still photosynthesise, trimming off excess leaves will help to put all the energy where you want it which is in the fruit. 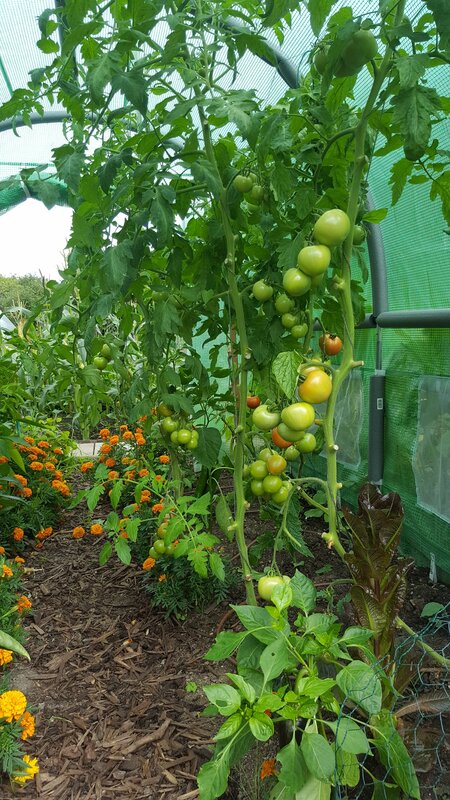 They will grow better, ripen quicker and you’ll be increasing the airflow around the plant which helps to reduce humidity and the risk of blight. I use a fairly basic horticultural fleece all the time. 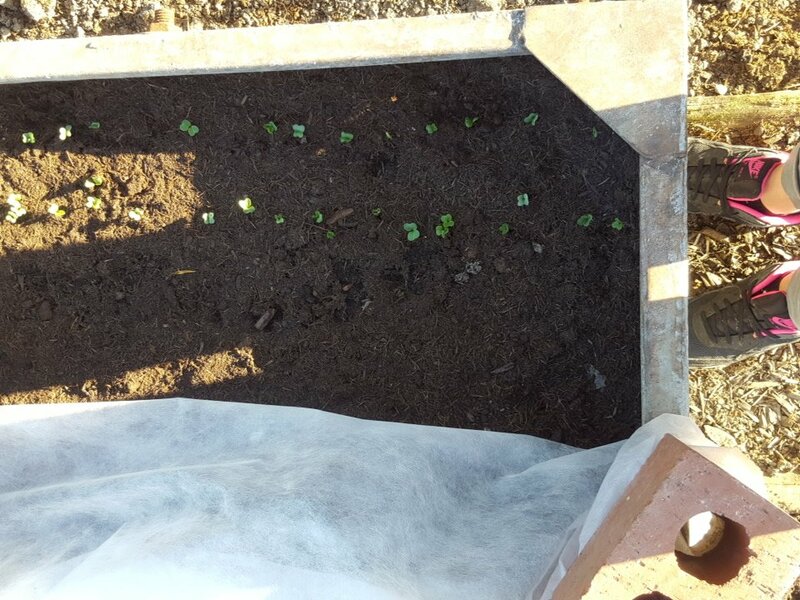 I cover new sowings until they are fully established. Within no time at all your plants will be thriving underneath so do not remove until the risk of frost AND cold winds have past to avoid frost damage and wind burn. Pop it on at the end of the season and you’ll be cropping later than usual too!